When I wrote about the protagonists of Rinkitink in Oz, I mentioned that one of them turned out to be Prince Bobo of Boboland under the enchantment of an evil sorcerer. So what is Boboland? Well, really all L. Frank Baum told us about it in the text of any of his books is that it’s “far to the south of [the Nome Kingdom] but bordering on the Deadly Desert opposite to the Land of Oz.” It’s shown on the map from the Tik-Tok endpapers, however, and appears to be above the underground lands visited in Dorothy and the Wizard. It’s never mentioned in any of Ruth Plumly Thompson’s books either, but John R. Neill used it in Scalawagons as the former home of the Puckerts, also known as Nota-Bells. They’re a group of eighty-eight little men with long beards and bells on their heads. The Nota-Bells are able to float in the air, using their beards to stay aloft, and claim to ring in the ears of composers to inspire them. When they come to the Emerald City, Ozma consults the Book of Magic Tribes, and finds the bell-men listed among several other “lost or strayed bands from Boboland,” also including Crinks, Chuckerts, Elfeons, Jollericks, Spunkers, Gadixies, and Giffers. There’s no indication as to what these other tribes might be, but Ruth Berman did a bit of speculating on the subject a few years ago. As for the Puckerts themselves, they are said to come from the Sugar Pyramids, but had disappeared 700 years previously to when the Book of Magic Tribes was written. 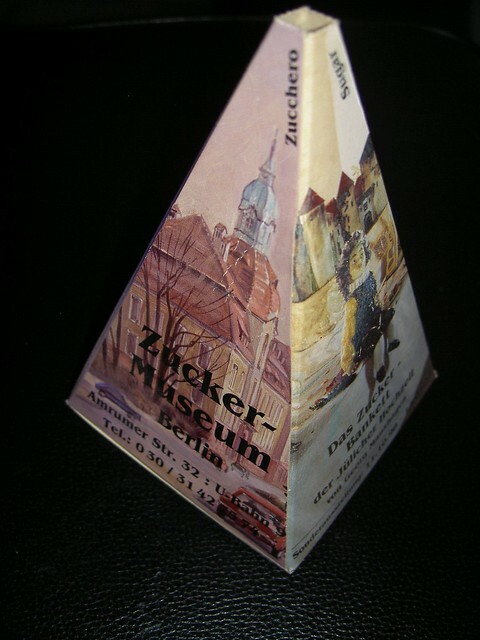 Neill apparently got the idea of sugar pyramids from the way sugar was once commonly packaged in Europe. The Puckerts remember the pyramids and miss the sweets they used to eat there, but say they don’t want to go back because the place was “swarming with ants and relatives.” So they remain in the Emerald City, where they serve as bell-ringers in one of the palace towers. I think Boboland could use some more exploration. Did Prince Bobo ever return there, and are any other members of his family still there? What happened to the sorcerer who enchanted the prince? Are there any unusual beings remaining there? I did a little bit with the country in my story “Return to Boboland”, but I’m not really satisfied with it now. I do think some of my ideas, like Groanos and the Light-Heads, could be salvaged, though. This entry was posted in Oz, Places and tagged bilbil, boboland, emerald city, groanos, jenny jump, john r. neill, l. frank baum, light-heads, nota-bells, ozma, prince bobo, puckerts, return to boboland, rinkitink in oz, ruth berman, sugar pyramids, the scalawagons of oz, wizard of oz. Bookmark the permalink. I like to think that Boboland is a republic, with Bobo a remnant of the royal family that the populace no longer wants to rule them. As a republic, Boboland is a little more “civilized” and therefore a little less of a fairyland than some of its neighbors, which is why it’s possible for a prince to be turned into a goat but unusual for a non-enchanted goat to talk. As to why I like to think that, it would add variety to the countries of the Nonestic region, most of which are ho-hum hereditary monarchies. I suppose that could explain why Bobo returned to Gilgad with Rinktink rather than to his old home. It would have been an opportunity for him to remain in a royal court. If Boboland has elections, though, does that mean they have to contend with the Heelers? Only if they elect via shoes, I guess. Seriously, who ever heard of voting by shoe?! And once the votes are counted, how do they know whose shoes are whose (since I assume Ozites wear mostly the same styles and colors of shoes and imagine have multiple shoes of the same sizes and same styles…)? And what about the people who couldn’t vote with shoes, such as the Scarecrow, Tin Man, Scraps, and Cowardly Lion–are they given 3/5ths of a vote because they’re not flesh-and-blood humanoids? Since the Ozlection was entirely the work of Neill’s editor, I have to suspect this person used shoes as votes because shoes already featured in the story as Jack Pumpkinhead’s orchestra and glee club. It really didn’t make sense, though. Professor Wogglebug rejects the Scarecrow’s idea of using umbrellas as votes because some people have more than one umbrella, but I’m sure some people in Oz have more than one pair of shoes as well. If they didn’t, wouldn’t they have to walk around with a bare or stocking foot after casting their votes? The description of the meeting also says that the Scarecrow and Tin Woodman took off their right shoes to vote for Ozma, but the former’s boots double as his feet, and I’ve never seen any indication that Nick wears shoes. For what it’s worth, I don’t believe any of the animals voted at all, which seems a bit off.